A very Happy National Day to Sweds this 6 June 2017. Although a fairly new recognized holiday–only being celebrated as a public holiday in 2005, and before 1983 it was Flag Day–nevertheless it coincides with the date of the election of King Gustav Vasa in 1523 and the adoption of a new Constitution in 1809. A nice description of the Holiday can be found here. There are not a lot of significant traditions with the holiday, but it sets the stage for the big summer holiday in two weeks, Midsommer! Arkivverket-DigitalArkivet (the Norwegian National Archives-Digital Archives) has announced that the Digital Archives pages on the web will be all new starting 6 June 2017. The Archives promises not only a new look, but improved searching and filtering capabilities, as well as cross-platform capabilities (so you can look at your ancestors records on all your various Internet-connected devices.) Details are a bit thin, but the new site will be available on the 6 June, and new functionality will continue to be rolled out for a while thereafter. No search functionality will be reduced (at least according to the announcements.) But as with all new solutions it is best to keep a cool head and anticipate as-yet-undiscovered problems. I for one can hardly wait to see the new and improved website. And I will not also not count on doing any significant Norwegian research for the first half of June. 🙂 As always, takk to the the Norwegian Government for having such a great site in the first place! 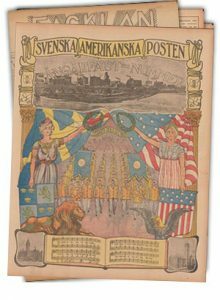 One of the great, but often overlooked, resources for Swedish-American research are the ethnic newspapers that were available to most Swedish immigrants. They read these papers, usually published in Swedish, for news from home or news about other friends who had migrated to the U.S. It is estimated that there were around 600 published titles of Swedish-American newspapers, albeit some had for short runs. Many of these newspapers still exist, but you may need to do a bit of searching. The newspapers exist as hard copies in archives, some have been microfilmed, and a few have been digitized. One of the most significant online collections can be found on the Minnesota Historical Society Website. The collection consists of 300,000 pages, from 28 newspapers published across the U.S. The publications were made available through a partnership of the Minnesota Historical Society, the National Library of Sweden (Kungliga Biblioteket), the American Swedish Institute, and the Swenson Swedish Immigration Research Center at Augustana College, in Rock Island, Illinois.Most Swedish American papers will have lists of immigrants, emigrants (many Swedes returned to Sweden after living in the U.S. for a while), visitors from the Old Country, births and marriages and deaths both in the U.S. and in Sweden. I have found many of my Sweden-living cousins’ death notices in U.S. papers. Most Swedish American papers will have lists of immigrants, emigrants (many Swedes returned to Sweden after living in the U.S. for a while), visitors from the Old Country, births and marriages and deaths both in the U.S. and in Sweden. I have found many of my Swedish cousins death notices in U.S. papers.The Swenson Center has a large number of microfilmed newspapers that have not been digitized yet, a list of these can be found here: often these microfilms can be borrowed through Interlibrary Loan. To all my Norwegian friends and family “Gratulerer med dagen” on this syttende mai! 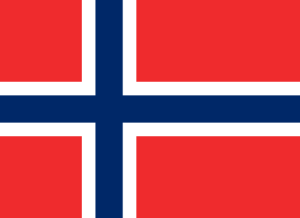 Learn more about Norway’s Constitution Day here and here. 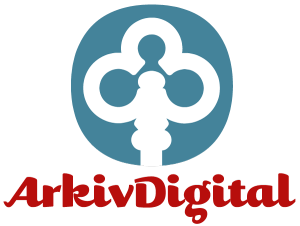 ArkivDigital, the great company bring us Swedish genealogical resources online, released a blog its company’s yearly report for 2016. All good news, revenue up, subscriptions up, 8 million more images! But there were a few hints for the future, all very exciting! Not to mention more archived documents. All exciting things for us to look forward to! There is a nice blog on Norwegian genealogy called Norwegian Genealogy and then some it has some great resources and tools (for example, cheat sheets for the parish book headings and list of causes of death), and I would highly recommend a virtual stop-by for anyone doing Norwegian research. I particularly like the blog, because the author brings together a good number of websites that you might not otherwise find. For those working in more recent Swedish records there is a very helpful resource Sveriges Dödbook the most recent version–number 6–covers the time-period 1901-2013. 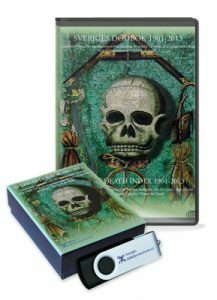 It’s a list of all (or almost all, over 99%) of all deaths in Sweden transcribed and available on this CD. The next iteration, version 7, is currently being developed and will cover 1860-2017! Apparently the plan is to publish a “pre-release” version in November 2017 that covers about 2/3 of the new material, and the final Sveriges Dödbook 7 will be released in November 2018. The price for version 6 is about $70 dollars, no notice yet on the price of version 7. I have found this resource to be indispensable for my research and I am sure I will be early in line to get version 7. Great news for the many of us with Swedish ancestors in Minnesota, ArkivDigital announced that it has begun the process of digitizing many of the Swedish-American church records in Minnesota. They tell us that the records should begin to be available soon. This follows the wonderful job they did with the church records of Kansas. Further reason why I believe ArkivDigital is the must have resource for genealogist with Swedish (and Swedish-American) ancestors!